For many years, the club operated during the summer months from the beer garden at the Hop Poles Public House in Great Hallingbury. 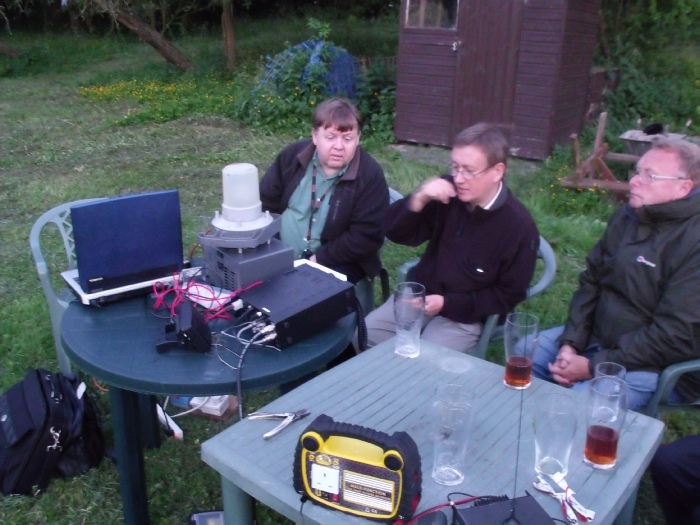 Dave Bucknell G8ZPH supplied the equipment, and Chris G7VJE sometimes had a camera with him. 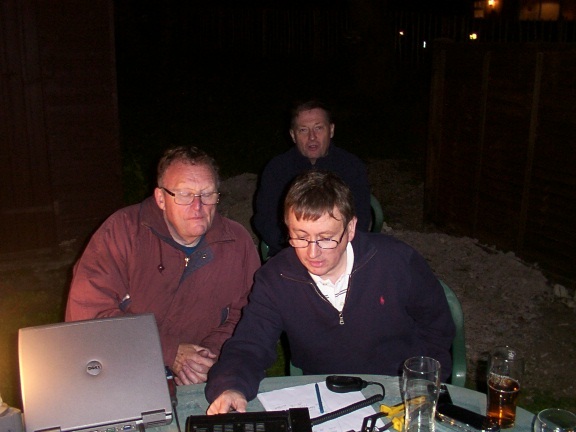 Tony (G0PQF) operating will Ivan (M6IFW) Dave (G8ZPH) and George (G8ACT) Look on. The other side of the table. 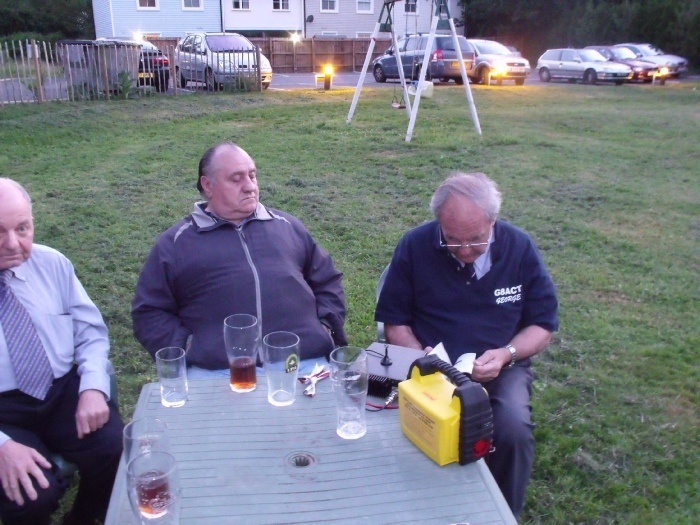 Ivan (M6IFW) Ferdi (Short Wave listener) and george (8ACT).